Lower your fuel costs. Cut your carbon footprint. Hire an electric van from TJS. 70% of small van users make daily journeys of less than 70 miles. If that’s you, then it’s time to think about the way you cover those miles. With fuel costs rising and plans being made to charge diesel vehicles for driving in city centres, discover the vehicle that can keep your costs down, and performance up. Hire an electric van from TJS and you get a generous 3.3m3 load capacity, a load length of 1.8m and a payload of up to 636kg. It’s a pleasure to drive, too. Try before you buy/long lease? You’re thinking of making the switch to electric. Perhaps you’re thinking of changing the entire fleet. But first, you need to know that electric is right for you. 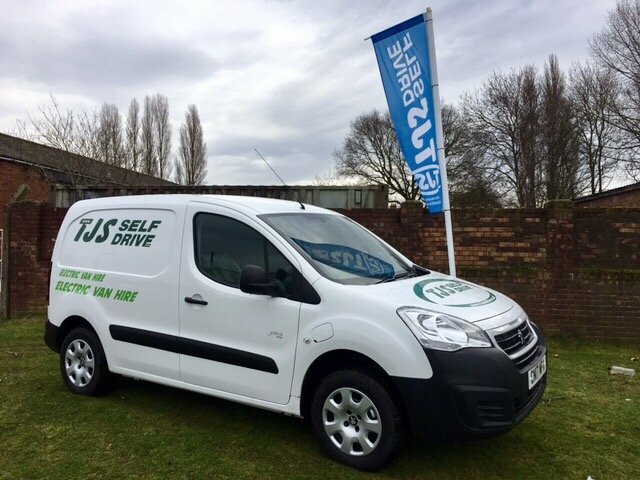 Hire an electric van from TJS, and you’ll be able to test charging, mileage, drivability and other practicalities first. Then, take a look at our flexible lease options. What do I need to hire an electric van from TJS? How do I charge an electric van (and how long does it take)? How much does it cost to run an electric van? Hire your electric van now. Complete the booking form or contact your local TJS branch on the right of this page. *Dependant on length of charge, driving conditions and extent of use of electrical features (heater, air con etc).